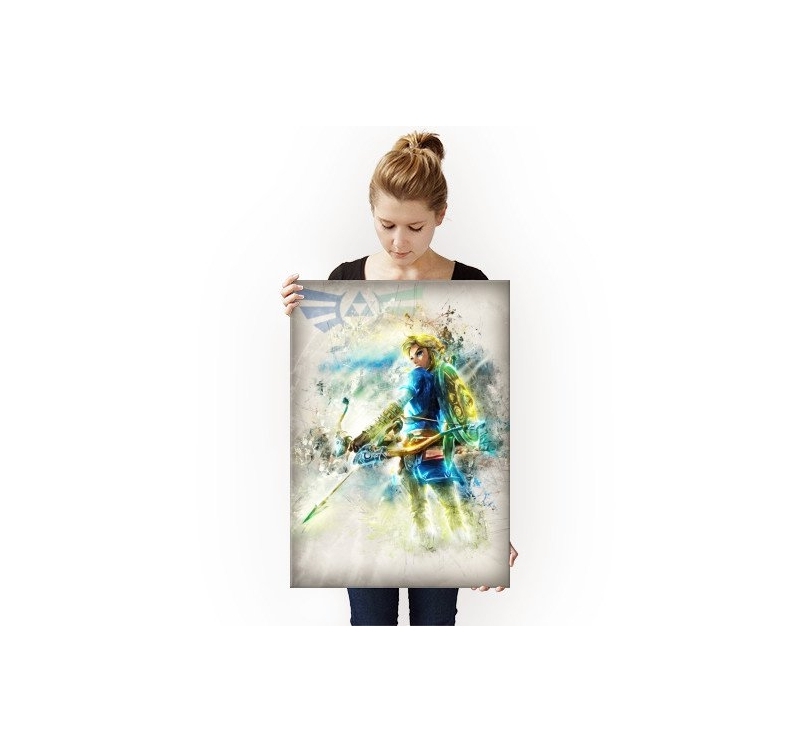 An original and flashy version of Zelda in metal poster. 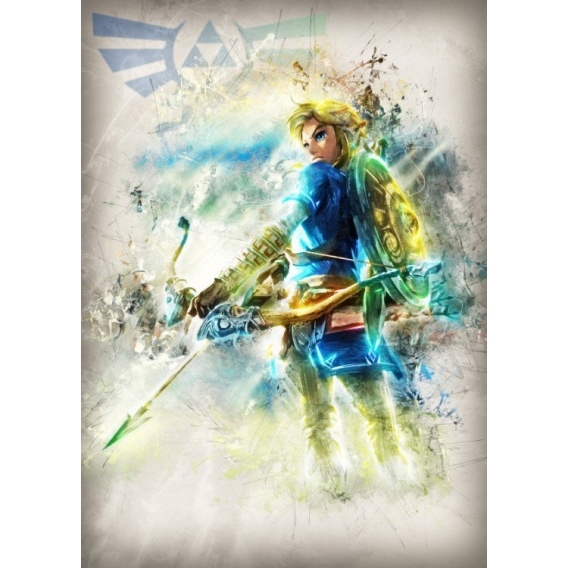 This Zelda metal poster comes with its magnetic hanging system. 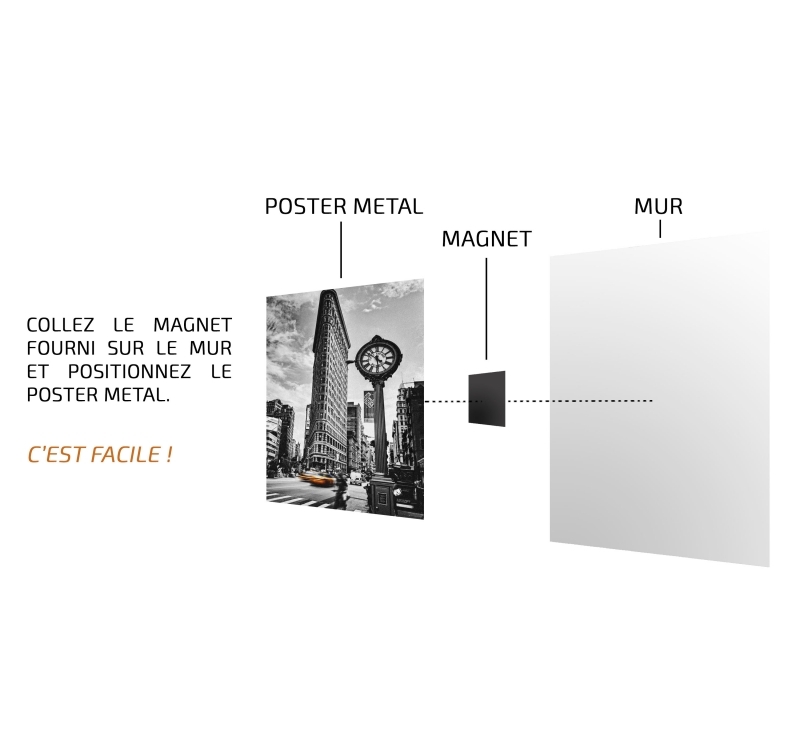 The dimensions of our Artwall and Co posters are 48 x 67.5 cm. Free delivery in Metropolitan France and Belgium for this collector's poster. 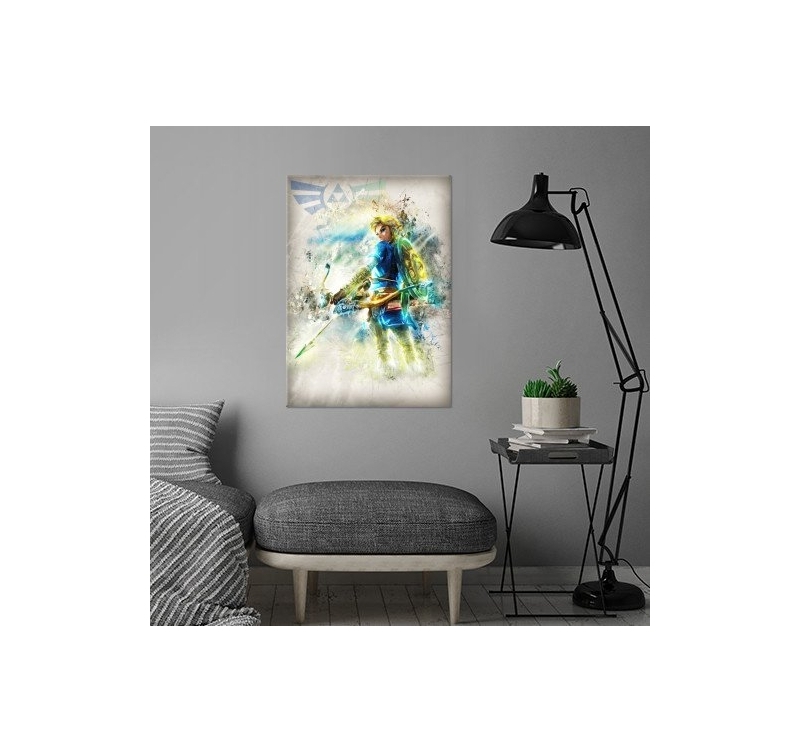 Link, armed with his bow and his shield, is found in an unique metal poster, made by our artists. 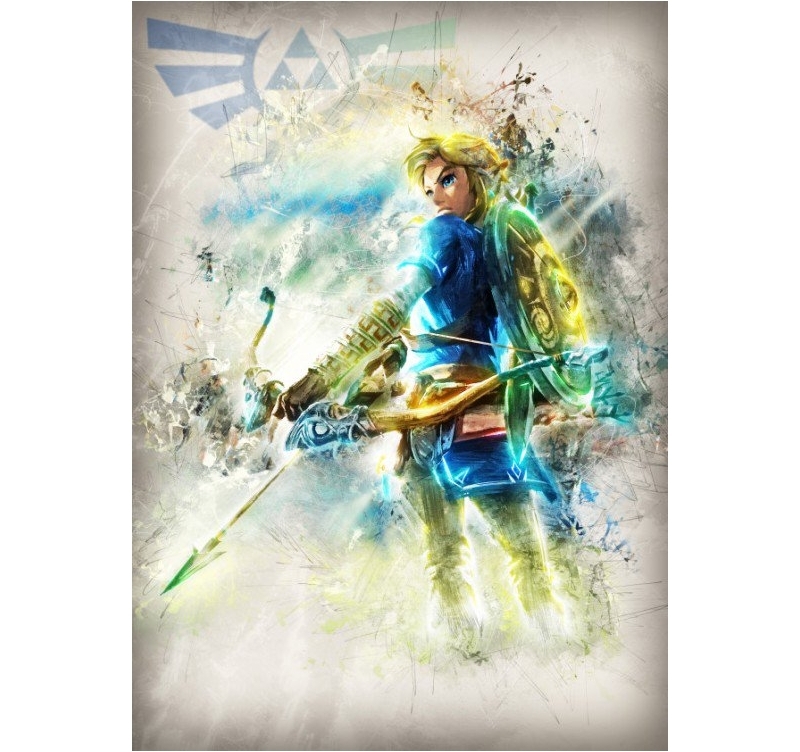 With a blue and fluorescent yellow, this metal poster features the hero of the Zelda saga and will be the perfect decorative object for all video game lovers. The symbol of Link, positioned on the top of the metal poster, sublimates the poster and will remind you the adventures of this warrior. 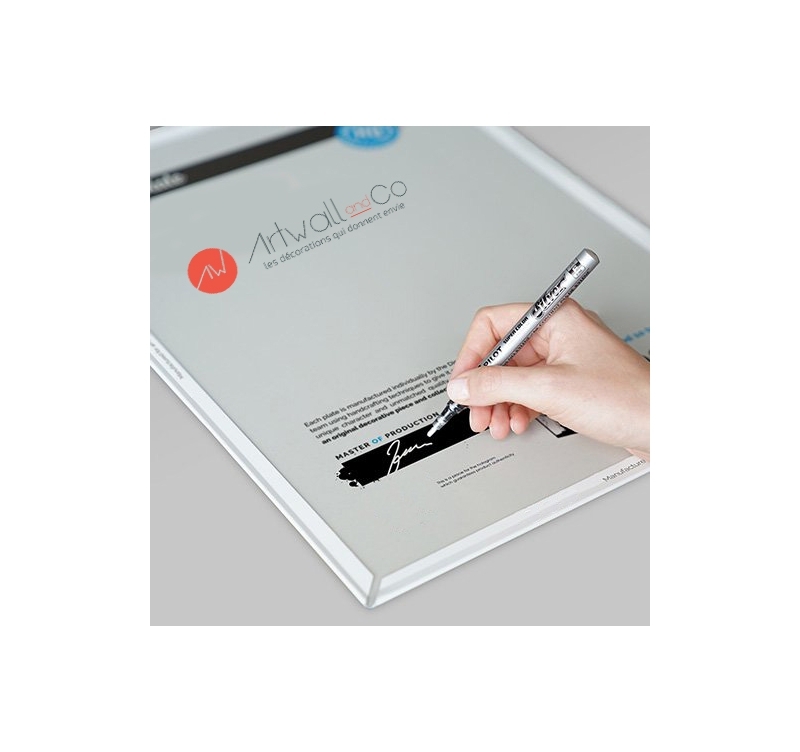 With an authentication hologram on the back of the poster and the signature of our production manager, this is a real collector's item we offer you through this metal poster. Any order from this collector poster allows you to directly support the artist who created it.